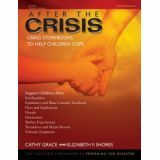 After the Crisis is the companion book to Preparing for Disaster: What Every Early Childhood Director Needs to Know. When a crisis shakes a child's life, it is often up to teachers to recognize and identify signs that the child is suffering from continuing stress, and to help parents make appropriate decisions regarding next steps. Although most teachers cannot provide therapy to children under traumatic stress, they already have the tools they need to help children cope. The literature-based activities in After the Crisis help children who have been through a trauma. With activities and exercises that can be used in conjunction with 50 children's books, teachers can use the discussion starters, writing activities, and art activities in After the Crisis to promote children's ability to cope and heal. 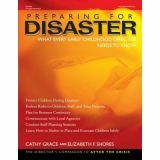 By Cathy Grace and Elizabeth ShoresAfter the Crisis is the companion book to Preparing for Disaster: What every Early Childhood Director Needs to Know. When a crisis occurs, it is usually a teacher's responsibility to recognize and identify signs that the child is suffering from continuing stress, and to help parent make appropriate decisions regarding next steps. Although most teachers cannot provide therapy to children under traumatic stress, storybooks are tools that can help children cope.The literature-based activities in After the Crisis help children who have been through a trauma. With activities and exercises that can be used in conjunction with 50 children's books, teachers can use the discussion starters, writing activities, and art activities in After the Crisis to promote children's ability to cope and heal. 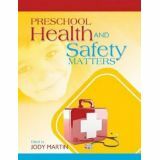 Editor: Jody MartinEarly childhood educators are responsible for the health and safety of the children they care for. From preventing harm from known safety risks to promoting children's medical, nutritional, oral, and mental health, educators and program directors act as children's daily protection and support. This easy-to-use manual provides educators with the information they need to ensure that the children in their care are safe, while they learn the best practices to stay healthy for life. With suggestions, ideas, activities, and ways to involve families at home, Preschool Health and Safety Matters covers topics such as hygiene, injury prevention, mental health, diversity, nutrition, and safety. By Kenneth TrumpEducators want practical, cost-effective school safety strategies that come from credible sources and can be implemented quickly. 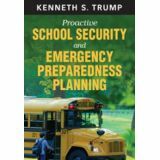 The book begins with an overview of school security and the politics surrounding it, then provides nuts-and-bolts strategies for preventing violence and preparing for crises. The text covers topics such as: Bullying, cyberbullying, and harassment After-school, transportation, and athletic event security Managing media and parent communications on safety and crises Practical, cost-effective security and preparedness within tight budgetsAlthough school security can be an emotionally charged subject, this book stresses the importance of collecting data and acting rationally. Included are ideas for working with community leaders, police, parents, businesses, and political officials to improve school and community safety and security. The author's companion website keeps readers current with breaking news, free resources, and interactive dialogue on the latest developments in the school safety field.